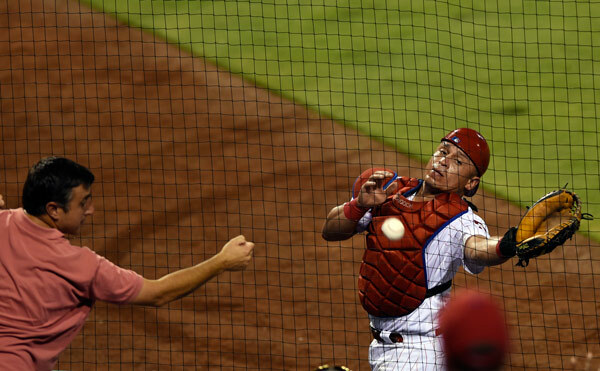 PHILADELPHIA (WPVI) -- The Philadelphia Phillies have traded catcher Carlos Ruiz to the Los Angeles Dodgers. In return the Phils acquire catcher A.J. Ellis, right-hander Tommy Bergjans and a player to be named later. #Phillies have traded Carlos Ruiz & cash to the Dodgers in exchange for catcher A.J. Ellis, RHP Tommy Bergjans & a player to be named later. The trade also included cash from the Phillies. 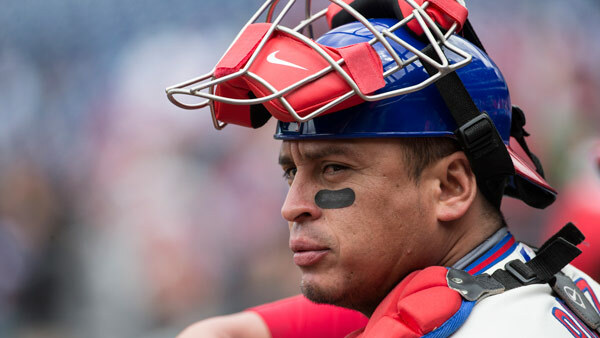 Ruiz, who has been a part of the Phillies organization for over 17 years since being signed as an amateur free agent out of Panama in December 1998, departs Philadelphia as one of the greatest catchers in the 134-year history of the team. The 37-year-old has the highest career fielding percentage among all qualifying catchers in franchise history and ranks fourth in games caught (1,029), trailing only Mike Lieberthal (1,139), Red Dooin (1,124) and Bob Boone (1,095). 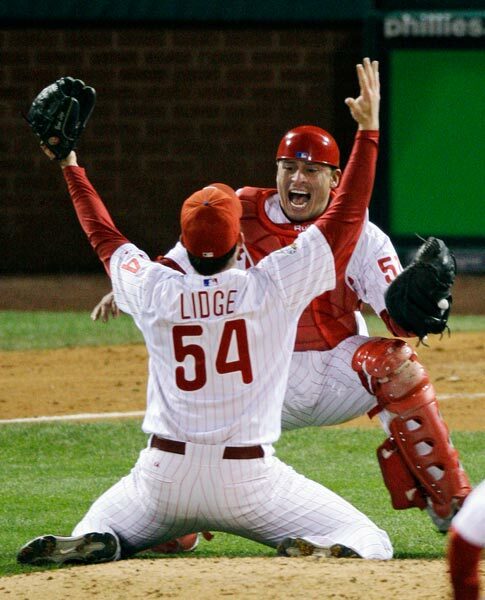 Ruiz is also one of only two catchers in major league history, along with Jason Varitek, to have caught four separate no-hitters (two by Roy Halladay, one by Cole Hamels, one combined). In 11 major league seasons with the Phillies (2006-16), Ruiz posted a .266 average with 213 doubles, seven triples, 68 home runs and 401 RBI in 1,069 games. He struck out only 456 times in 3,884 career plate appearances, giving him the fifth-best strikeout rate (8.52 PA/SO) among all active major league players over that span behind Albert Pujols (11.13), Yadier Molina (10.49), Jose Reyes (9.98) and Martin Prado (9.22). 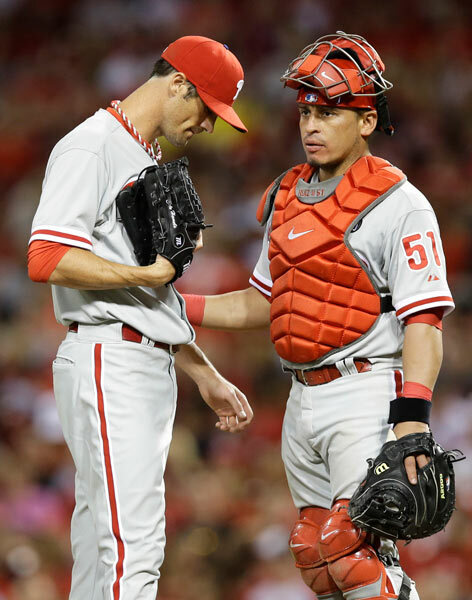 Ruiz made eight career Opening Day starts for the Phillies (2008-12, 2014-16) and was a part of five National League East division championships (2007-11), two National League pennants (2008-09), and one World Series Championship (2008). In 11 career World Series games, Ruiz has a .353 (12-34) average with a .488 OBP, 1.194 OPS, four doubles, one triple, two home runs, five RBI and six runs in 43 plate appearances. He delivered a walk-off RBI single in the bottom of the 9th inning in Game 3 of the 2008 World Series, and also slugged a three-run home run off Clayton Kershaw in Game 1 of the 2009 NLCS. Ellis is a nine-year veteran, has started each of the last five Opening Day games for the Dodgers and was behind the plate for Clayton Kershaw's no-hitter on June 18, 2014 versus the Colorado Rockies. He was selected by the Dodgers in the 18th round of the June 2003 draft out of Austin Peay State University. In 24 games for single-A Rancho Cucamonga this season, the 23-year-old Bergjans is 3-13 with a 4.98 ERA and 133 strikeouts to just 29 walks in 130 innings. The 6'1, 190-pound righty was selected in the eighth round of the June 2015 draft out of Haverford College.